Multicolored stars float on a yellow background for a cheery quilt. It's a friendly quilt without being juvenile. 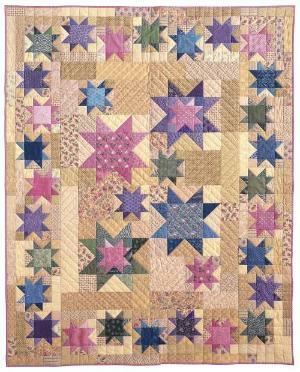 This could be a wonderful crib quilt that matures well as the child grows up.